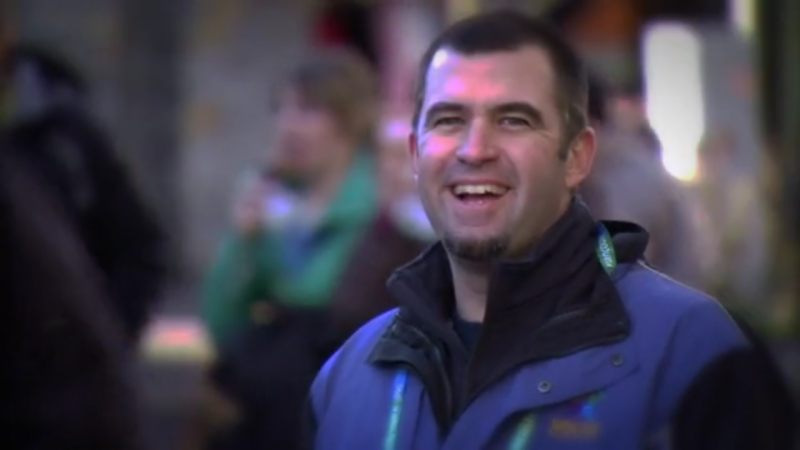 Editor's note: Paul Buff was a member of a volunteer team that traveled about 1100 miles from Kennesaw, GA to Lake Placid, NY to serve in Ironman Lake Placid 2010 and other ministries. He wrote a poem about his experience and I'd like to share it with you. We’re leaving tomorrow to go Your way. Head to Boston first and leave the heat. Our orange shirts let all see us. We can’t wait to do Your work. To challenge us as Your Word we search. Where it sure will be “cozy” for some. On the road to Lake Placid our vans were packed. Where we’ll meet up with many faces. Balloons, snow cones, and lead others in prayers. How all were blessed by loving and caring. Our hands to heaven, we will raise. Some of those we now call friend. Prayed for some their injuries would heal. But it was great to know that others saw You. Serving pancakes and breakfast and Your Word again. But our goal is the Gospel they’ll heed. And left so much different than when they came there. As into their hearts You surely came. To be part of Your work to various nations. All these athletes as they come to compete. Seeing them try harder as they leave here. Their goal being just the Finish Line. But mainly through us they have seen Him. A meal, a prize, and applause for their race. Was what drove them on and placed them there. With lives and actions on Jesus we hold. Is knowing God with true devotion. Through the air on their skis from up so high. Their love makes our family “at home” it seems. Enjoyed Your nature for part of the day. Awards and prizes made some people nervous. Can be done if we’re driven from up above. To show others You’re the one who cares. Your marvelous blessings we cannot forget.